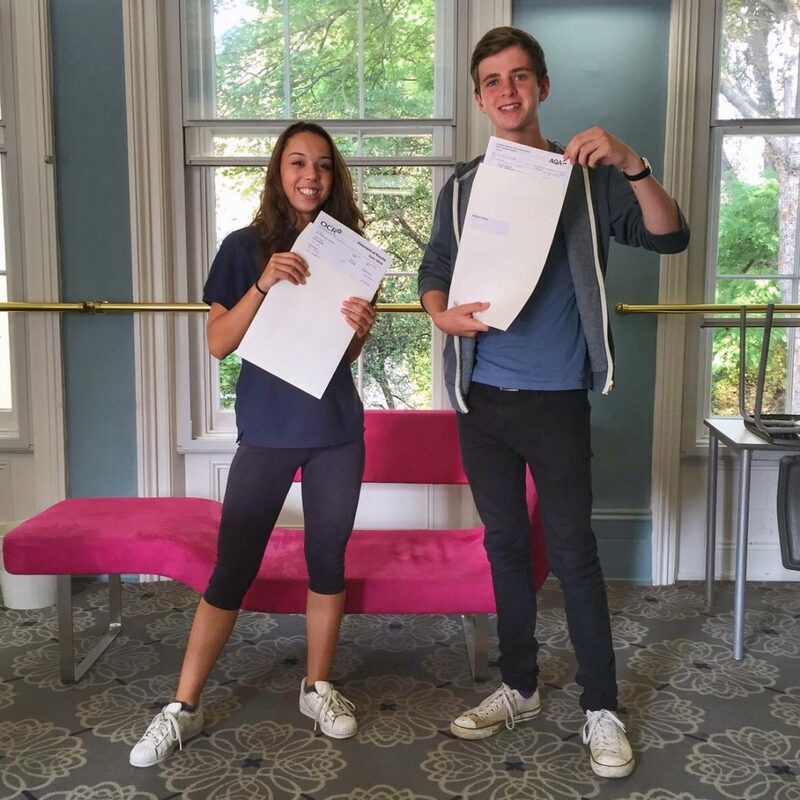 As students, schools, friends and families share A-Level results across the country, the occasion marks a profound milestone and even greater celebration for North Bridge House Canonbury Senior School & Sixth Form. Two academic years after opening, we now have our very first set of A-Level results, which represent our journey from unknown territory to Ofsted Outstanding School, with 100% of pupils achieving A to E grades. Our results have seen many students exceed their ALIS predictions and their own expectations, evidencing Ofsted’s observation that ‘students make well above expected levels of progress over time’. Having begun both their own and the School’s career in Year 12 and come so far from their starting points, our founding cohort is sad to leave but excited for the future. From students for whom university became an unexpected prospect (and now eventuality), to those who discovered their dream destinations were accessible in reality, each have grown their aspirations since starting here thanks to our ‘highly effective teaching and support from dedicated staff’ (Oftsed 2015). High achievers Melina and Will (pictured above) were particularly pleased with their results. With straight A grades in Maths, Chemistry and Biology, Melina will be reading Medicine after taking a well-deserved year out, whilst Will’s As in Economics, Maths, and Further Maths will see him pursue a degree in Economics. Fellow classmate Hugo was also delighted with A grades in Maths and Chemistry, plus a B in Physics, and is looking forward to reading Chemistry at Warwick University. From the outset at North Bridge House Canonbury, we have endeavoured to harness the research of experts in ‘Teen Development’ to maximise our pupils’ potential. We maintain small class sizes so that we can really get to know our pupils and provide each individual with teaching that inspires and challenges them. We seek to work with, not against, the needs of teens and take into account their body clocks, learning patterns and different phases of brain development, adapting our teaching methods to provide the most effective exam preparation. North Bridge House Canonbury’s A-Level results build on the overall NBH group’s year-on-year achievement, growing the 11+ and Common Entrance success of the Prep and the celebrated GCSEs of the Senior (Hampstead) to university heights. We would like to say a big thank you to all our students for their hard work and look forward to what next year has to bring!